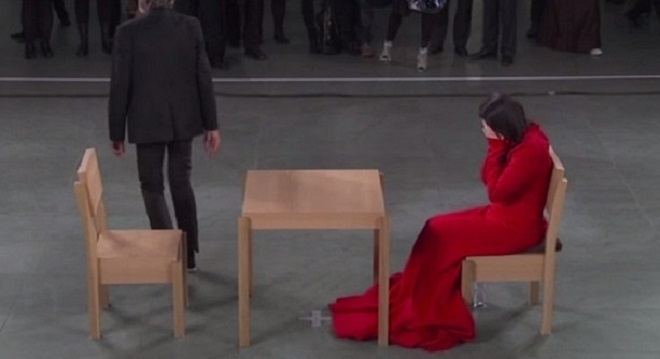 Artist Marina Abramović was doing a live performance as part of her MoMA retrospective 'The Artist is Present', where she shared 1 minute of silence with each stranger who sat in front of her. 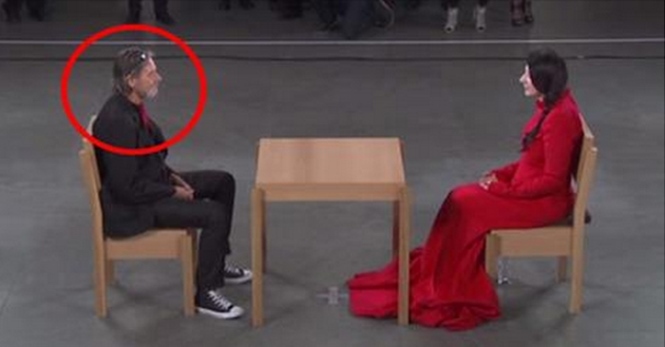 Her response to one person in particular gave me the goosebumps, and you'll soon see why. At 1:30, Ulay, her former lover for many years sits down across from her. Marina and Ulay broke up more than 30 years ago. This is the first time they have seen each other again since then. Such an emotional and shocking moment for her. As you can see, she tries to carry on until the end, but seems almost unable to.